Losing your smartphone can put a damper on even the best of days and while programs like Find my iPhone can go a long way to helping you recover what’s yours, often times you’re left having to rely on the kindness of strangers for help. To that end, Findables has launched a new line of smartphone cases that feature a custom QR code which when scanned, will direct you to a profile of the phone’s owner. Upon purchasing a case, the user can scan the QR code for the first time which will launch an account creation page. It’s here that the owner can add as much or as little information about themselves as they’d like via three different modes. The lost phone mode would include information about the owner, how to contact them or even information about a reward. Alternately, there’s a business mode designed to reveal professional information like your name, phone number, e-mail address and perhaps the company or business you work for / own. Finally, there’s a social media mode which will link the scanner to public Facebook, Twitter, Instagram, etc. accounts. The owner can log into their profile and change the visible mode at any time which could be great for your next party, business conference or if you lose your phone. So long as the person that finds your device has good intentions and knows what a QR code is, you could be in luck. 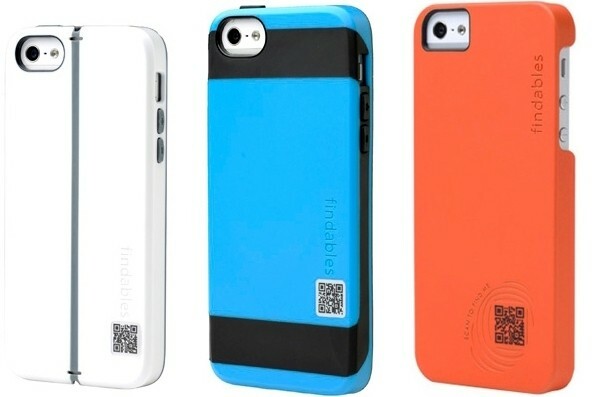 Findables offers different models for the iPhone 5, 4S and 4 as well as a case for the Samsung Galaxy S3 and the iPad mini. Pricing starts at $19.95 and goes up to $39.95.